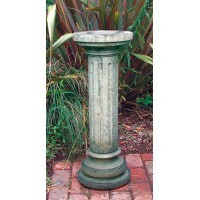 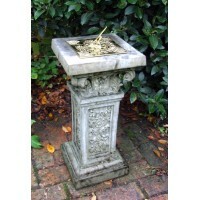 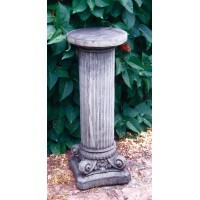 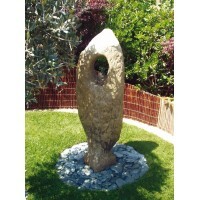 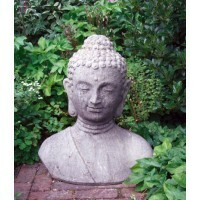 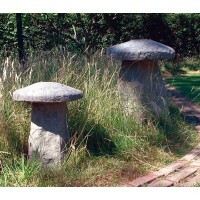 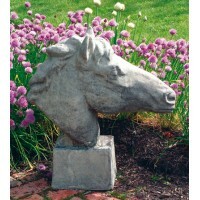 BRIGHTON COLUMN © 48kg 81cm high Top: 24cm diameter These products are han..
EQUINE BUST © 50kg 62cm long These products are hand-made by skilled English ..
CELTIC STONE FOUNTAIN © 132kg 130cm high Requires Pump, sump and grill. 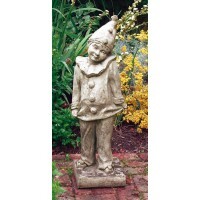 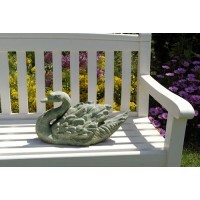 These produc..
120kg 74cm highBase: 49x34cmThese products are hand-made by skilled English craftsmen us..
Swan14kg 25cm highThese products are hand-made by skilled English craftsmen using local .. 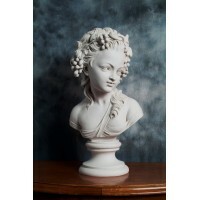 Portrait marble bust, of a Young Lady, French school, 19th century.46 cm tall.PLEASE ..
Lady Statuette, holding candle with merlion to base, French, c1790.A fantastic classic marble s..
Pandora, a bust, French sculpture, 1900. 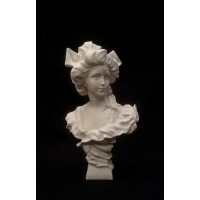 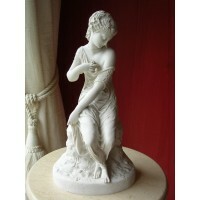 Pandora, a bust, French sculpture, 1900. 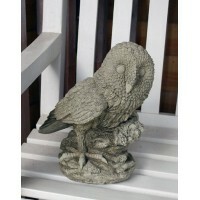 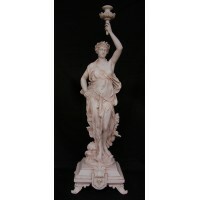 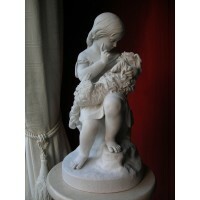 52 cm tall.PLEASE ALLOW UP TO 28 DAYS FOR DELIVERY.Exc..
C5112 TAWNY OWL ©8kg 31cm highBase: 18cm diameterThese products are hand-made by skilled..
Scented, after the antique marble statue by Giovanni Ciniselli, Italian sculptor, 1832-1883.&nb..
A Pair of Studying infants. 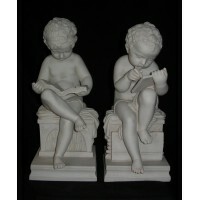 A Pair of Studying infants.An exquisite boy and girl marble group.Very crisply detailed sculptu..
Be good Statuette, after the antique by J. Durham. 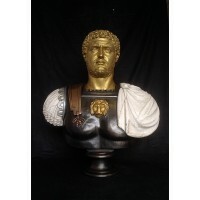 The original antique marble was shown a..
Caracalla Roman Emperor, a grand tour marble bust.This bust of Caracalla depicts him as a powerful m.. 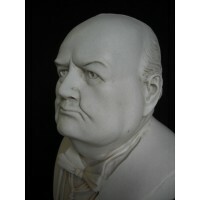 Portrait of a baby boy, pulling his sock off, German, 1880.A very fine sculpture of a baby, ful..
Winston Leonard Spencer Churchill, a bust, 1864-1965.An exact likeness is captured in this..
Sgt J.H Ginger Lacey, Bar DFM, Croix de Guerre, a portrait bust.A portrait sculpture bust of Gi.. 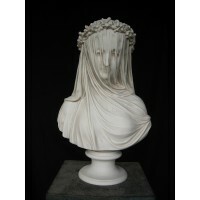 THE VEILED LADY, a bust, after the antique by Monti, 1875.Also known as the bride, this sculpture wa..
Mercury Statue, a statue, after the antique by Thorvaldson.A very fine Grand Tour marble statue.. 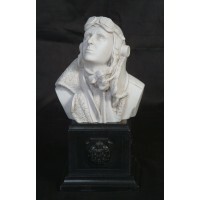 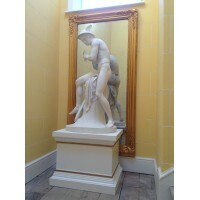 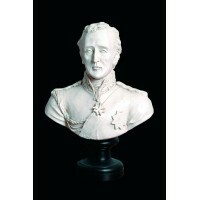 The Duke of Wellington,a bust, after Adams 1850.34 cm tall.PLEASE ALLOW UP TO 28 DAYS.. 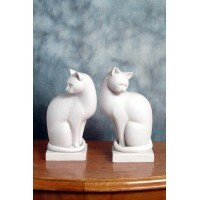 Pair of cats. 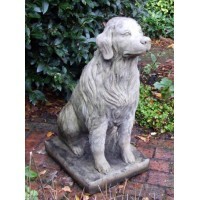 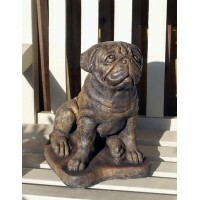 Size.23 cm tall.PLEASE ALLOW UP TO 28 DAYS FOR DELIVERY.Excludes delivery to Scot..
CORINTHIAN COLUMN © 25kg 60cm high Top: 23cm diameter These products are&..
LARGE PUG © (Shown in Burnt Umber) 16kg 34cm high Base: 26cm diameter These products are..
GOLDEN RETRIEVER © 110kg 81cm high Base: 38x49cm These products are hand..
C3401 STADDLESTONE © 36kg 45cm high C3402 LARGE STADDLESTO..
ROCOCO BRASS SUNDIAL © 51kg 70cm high These products are hand-made by skilled English ..
CLOWN © 42kg 90cm high These products are hand-made by skilled English crafts..